Canadian artist Adam Bassanta undertook a micro residency at Abingdon Studios in 2016 as part of Other Worlds Festival funded by Arts Council England and supported by Abingdon Studios and Supercollider. 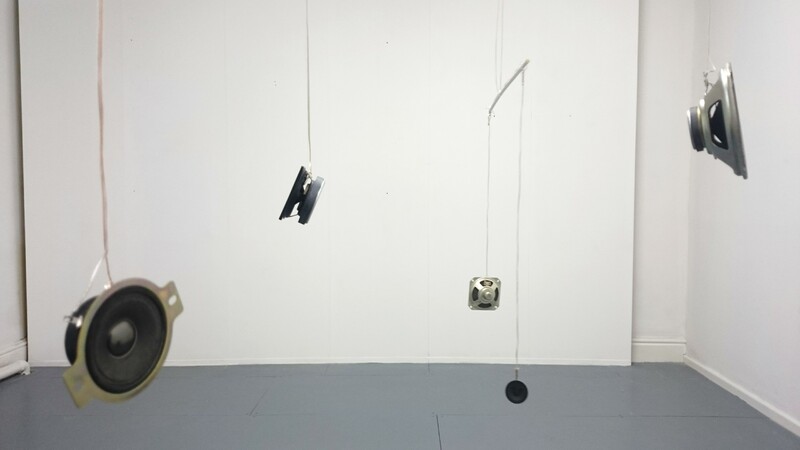 Bassanta’ recent work exclusively makes use of objects from the world of commercial sound reproduction technologies. Disrupting their technical and economic functions, thus nullifying their potential as instruments of mass communication, these objects are transformed into sculptural sound­ producing centrepieces. In 2017 Adam Bassanta was winner of the Aesthetica Art Prize with ‘The Curtain’ whose prototype was developed during this week residency.